Sasha Arms, editor and author of Carl Goes Berlin — the new city guide for curious and creative people — gives the lowdown on the Berlin neighbourhood famous for artists, ankle-biters and an authoritative foodie culture. Found in the former East Berlin, north-east of Mitte, Prenzlauer Berg became a hub for young West Berliners after the wall fell. They squatted in buildings and led artsy, bohemian lifestyles. 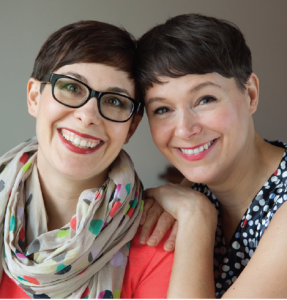 In the last decade or so, these Berliner beatniks have grown up and earned a little money. This, together with general investment in improving the old East German buildings, has led to the gentrification of the area on a wide scale. 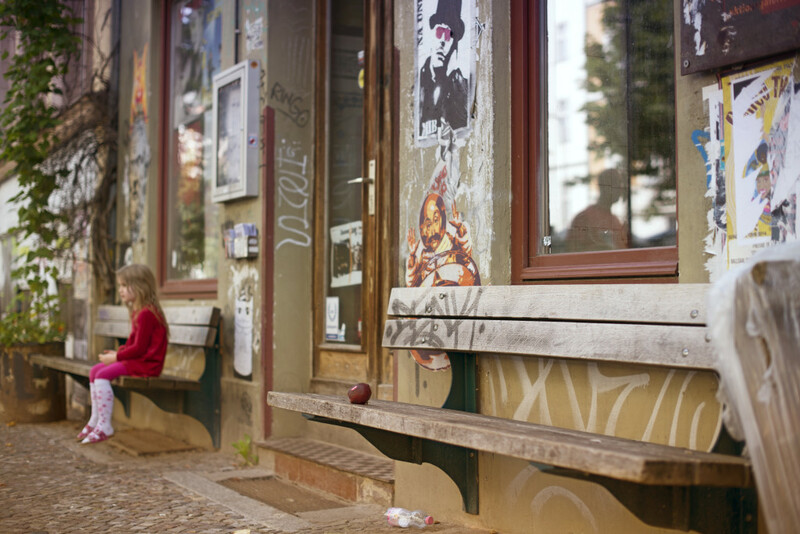 Prenzlauer Berg, or ‘PB’, is a laidback neighbourhood. As well as the original post-reunification residents, it’s becoming a popular place for former Kreuzberg trendies to move to in order to have a family. Prenzlauer Berg is famous in Berlin for its higher birth rates than elsewhere in the city. Given this, the locals (with children in tow) are slightly older than the young hipsters of trendier neighbourhoods like Kreuzberg and Friedrichshain, but the district maintains a fun-loving vibe nevertheless. PB has its fair share of famous faces from the art world too, including the likes of film director Tom Tykwer (The International, Cloud Atlas) and singer-songwriter Dirk von Lowtzow of Rammstein. These wealthier residents means it’s a locality pocked with organic shops and health clubs, wine bars, eateries and family-friendly things to do. 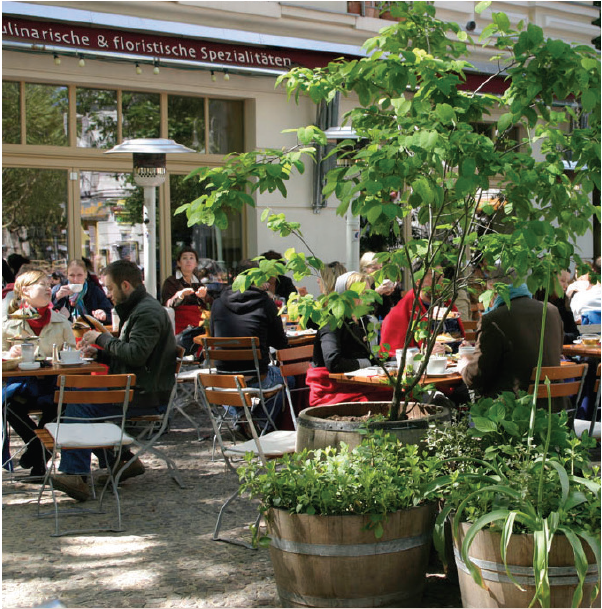 A proud café culture and thriving foodie scene is the order of the day in Prenzlauer Berg; unsurprising for such a famously gentrified district. You don’t have to go far to find a coffee or lunch pit stop and many places are bustling, whatever the time of day. The neighbourhood also has a welcome concentration of breweries and beer gardens, providing ample opportunities to get in the holiday spirit early in the day. The streets connecting the eateries and drinkeries are tree-lined and busy, but no-one is in a huge hurry. For culture and history buffs, Prenzlauer Berg also offers fascinating opportunities to learn about Berlin’s East German past. 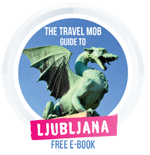 Do as the locals do first thing and take your pick from the array of cafés for coffee, breakfast and people-watching. Café Anna Blume is a café and flower shop popular with locals throughout the day, especially for Sunday brunch. Or Caffe Monelli is an all-Italian affair with some of the best coffee around. Kollwitzplatz and Helmholzplatz are widely hailed as embodying the best of the PB vibe, so be sure to have a stroll around these squares. The Kulturbrauerei complex is a popular spot for soaking up culture, and includes a resonant museum about daily life in East Germany. For more history, culture and a little beer, Pfefferberg is an old brewery and a protected building that now houses a microbrewery, the Museum for Architectural Drawing and artists’ studios. For lunch, have an organic burger at the 1950s-styled MarienBurger or visit the DDR style bakery Bäckerei & Konditorei Hacker (Stargarder Strasse 69), where the décor hasn’t changed for decades and they serve hulking, cheap German lunches. Before the day is over, be sure to check out Erfinderladen, a shop that gives people an opportunity to sell their inventions. There is always a weird and wonderful selection of oddities on sale. Mauerpark — previously part of the death strip by the Berlin Wall — is a green space popular with locals, especially on Sundays when there is a flea market and outdoor karaoke (for more on that and six more great ideas check our article on cool things to do in the German capital). If you need a coffee while there, Café Niesen (Schwedter Strasse 78) is nearby, with separate entrances for those with or without children. The epitome of Prenzlauer Berg living! Prenzlauer Berg isn’t exactly Berlin’s best-known clubbing destination, but bars are open until late and you don’t have to go far to find a bar or beer garden in the locality; there’s certainly something to suit all tastes and flights of fancy. Prater Garten is one of the best, and largest, beer gardens in the area, with rows of benches found in a hidden-away courtyard. Kohlenquelle (Kopenhagener Strasse 16) is a bar where concerts and events take place in the basement, while Sorci e Morci is a welcoming neighbourhood affair; you even get a free snack to munch on while you’re deciding on your drink. Beckett’s Kopf is a hidden cocktail bar with a picture of Samuel Beckett at the front; knock on the door and see what happens. Irmela Schautz and Annabelle von Sperber are illustrators who run their business, atelier2gestalten, from a leafy building in Prenzlauer Berg. Originally from the south of Germany, they’ve both lived in Berlin for more than a decade and Prenzlauer Berg is the only place they considered calling home. Not a well-known hotel district, Prenzlauer Berg nevertheless has some original offerings for places to stay. Ackselhaus offers apartments as hotel rooms, found in a former industrial building, paving the way for impressively large spaces inside. The Berlin outpost for Soho House is also found in Prenzlauer Berg, where hotel guests can become part of the private members club for the duration of their stay. For more tips and info on Berlin check out our city break special, or these Berlin stories. Or go the full hog and order the Carl Goes Berlin guide written by Sasha herself and available online now. Featured photo by Ben Jeffreys. Ah,what a vibrant bohemian place,my wife and I have visited Berlin twice now,and and pberg is just so lovely,restaurants and bars,so friendly.we purchased several ceramics the first time we visited,from an upstairs studio,marked jk.the second time we visited we could not find the studio.still we enjoyed our meals at restaurant 1900,food and atmosphere brilliant. Hi, sorry to bother but this bothered me: Dirk von Lowtzow is not associated with Rammstein but is Songwriter/Singer/Guitarist/Founding Member of the Band Tocotronic.